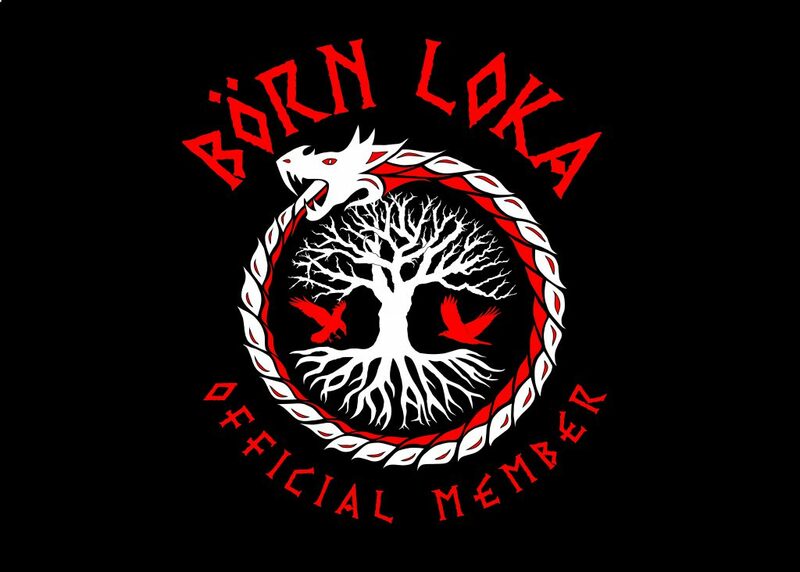 Börn Loka is the official fanclub of Skálmöld. The club works closely with Skálmöld in relation to various events we hold each year. Yearly fee is 5.500 ISK. Included is a numbered membership card, specially designed T-shirt and a signed image from the band. In addition to these things the membership grants you access to a closed Facebook group where you will receive all the interesting news about the band and events before anyone else. Official members also often get special deals on tickets, merchandise, CDs etc. Being a member of the club brings you closer to the band and other fans. Within the club there is also a youth division, 14 years and younger, called “Ormar” (worms), as a short for Miðgarðsormur or Jörmungandr. Yearly fee is 3.500 ISK and there is a 500 ISK discount for siblings. The kids also receive a membership package, included is a T-shirt with a new design, a buff with the club logo, a membership card and a signed picture of the band. Those who register and pay the membership fee before December 1st will receive the membership package in the beginning of January 2017. Those who register between 1st of December 2016 and 15th of February 2017 will receive the membership package in the beginning of april 2017. (Shipping and handling fees are not included in the membership fee). When we receive a confirmation of payment we will send you an email with a link to the closed official Facebook group where you will apply for access.